Group Pregnancy Care is prenatal care that includes an individual health check-up with additional time and attention in a group setting. You’ll meet with your healthcare provider and other women who are due near the same time for 10 sessions during your pregnancy. 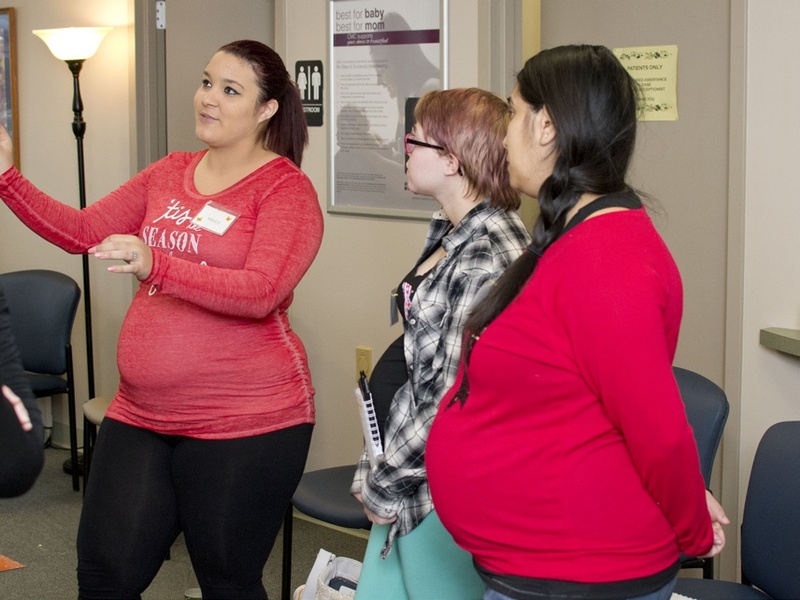 Group Pregnancy prenatal care follows the recommended schedule of 10 prenatal visits, but each visit is 90 minutes to two hours long – giving women 10x more time with their provider. 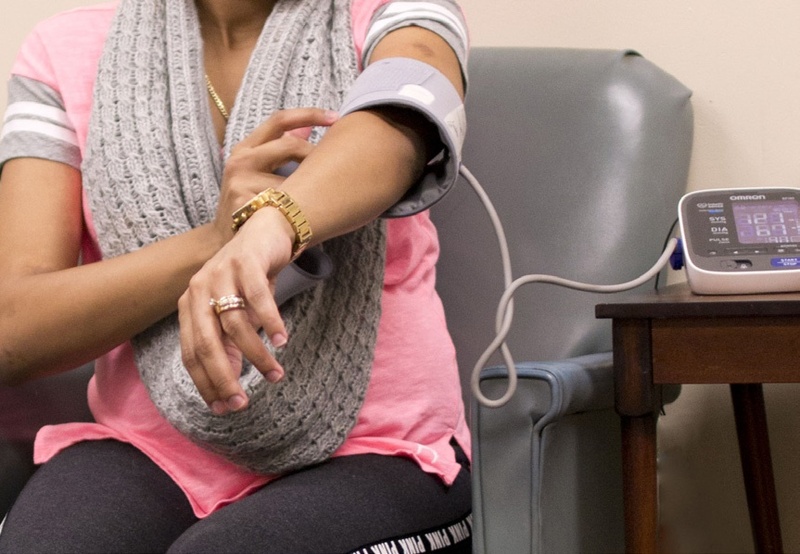 Moms engage in their care by taking their own weight and blood pressure and recording their own health data with private time with their provider for belly check. 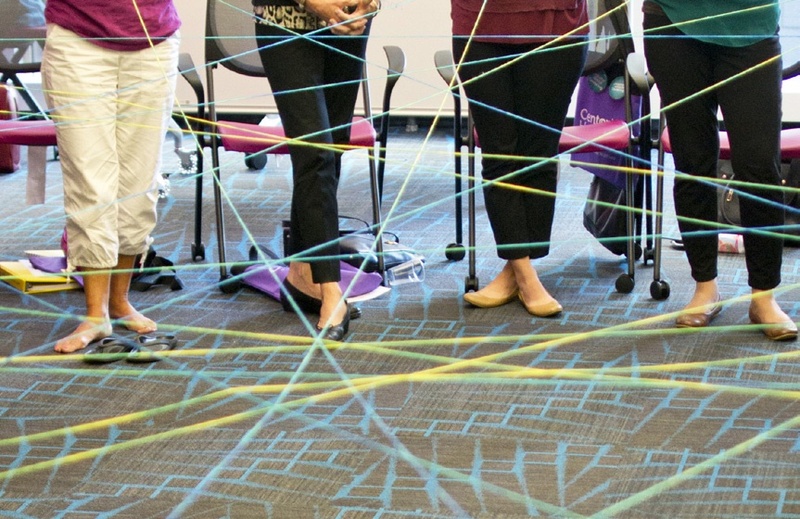 Once health assessments are complete, the provider and support staff “circle-up” with moms and support people. They lead facilitative discussion and interactive activities designed to address important and timely health topics while leaving room to discuss what is important to the group. 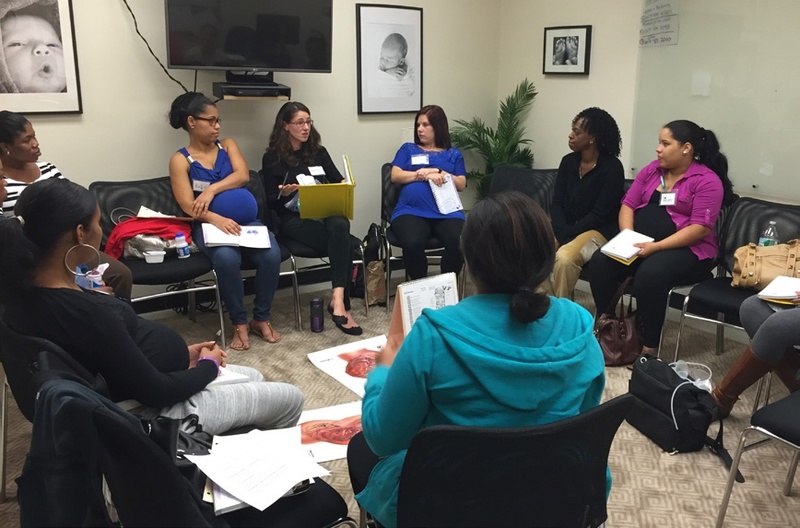 Group Pregnancy Care materi-als help moms and providers ensure that everything from nutrition, common discomforts, stress manage-ment, labor and delivery, breastfeeding, and infant care are covered in group. Group Pregnancy Care brings 8-10 women all due at the same time together for their care. Providing care in this way allows moms and providers to relax and get to know each other on a much deeper and meaningful level. 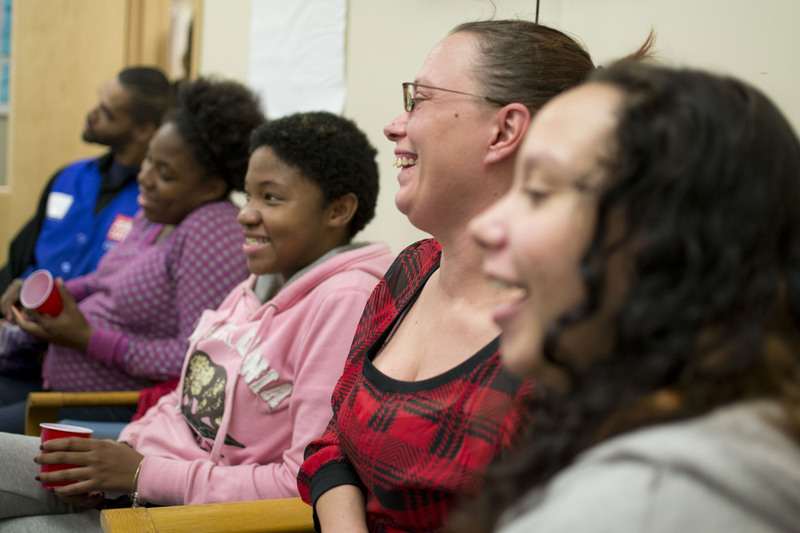 Members of the group form lasting friendships and are connected in ways not possible in traditional care. Group Pregnancy Care moms are better prepared for labor, delivery, and to care for their infant. Practices report fewer after-hours calls and emergency visits from Group Pregnancy Care moms because they better understand what is normal during pregnancy and what is cause for concern. More time with your provider Moms in Group Pregnancy Care spend 10x more time with their provider than women in traditional care. Women enjoy being with other women who are going through a similar experience, giving them an opportunity to support each other. 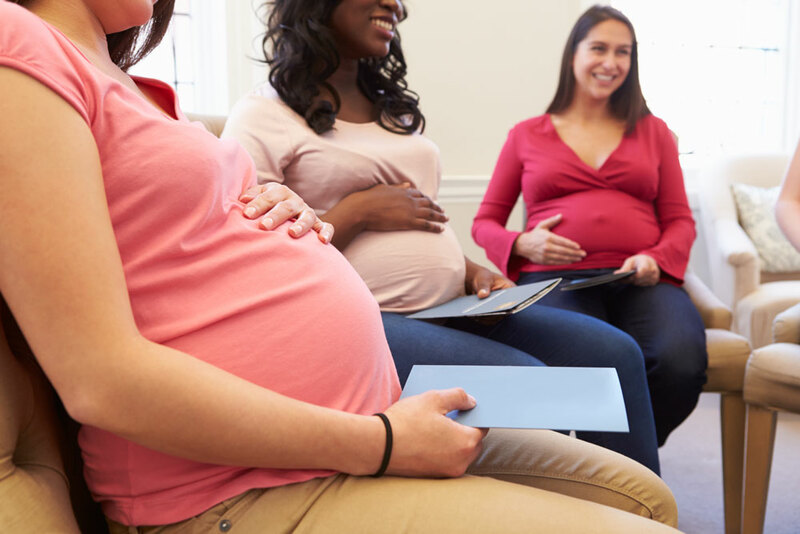 Group Pregnancy Care moms create lasting friendships and are wonderful resources to one another during a very exciting but also stressful time in their lives. Group Pregnancy Care es atención prenatal que incluye un control de salud individual junto con horas y atención adicionales en un entorno grupal. Usted se reunirá con su proveedor de atención de salud y otras mujeres que tienen fecha de parto alrededor de la misma fecha que usted en 10 sesiones durante su em-barazo. Group Pregnancy Care es una manera de compartir aprendizaje y experiencias con otras mujeres embarazadas y de participar en su propia atención. Un grupo de mujeres con fechas de parto similares se reúnen en sesiones regulares con su proveedor de atención de salud. El grupo se relaja y se divierte. Todas pueden compartir sus preguntas, recomenda-ciones y experiencias. Las futuras madres se reúnen con otras mujeres embarazadas con fechas de parto cercanas a las de ellas y crean lazos que pueden durar toda la vida. Cada consulta grupal dura alrededor de 2 horas con el proveedor de atención de salud que dirige la sesión. Programar con anticipación hace que sea más fácil la planificación del trabajo y del cuidado infantil.